TORONTO (October 21, 2013) – Following a 20-year NHL career, Roman Hamrlik, a three-time NHL All-Star and a member of the 1998 Czech Republic Olympic team that captured the gold medal in Nagano, announced his retirement from the NHL today. Hamrlik was drafted first-overall by the Tampa Bay Lightning in the 1992 NHL Entry Draft. 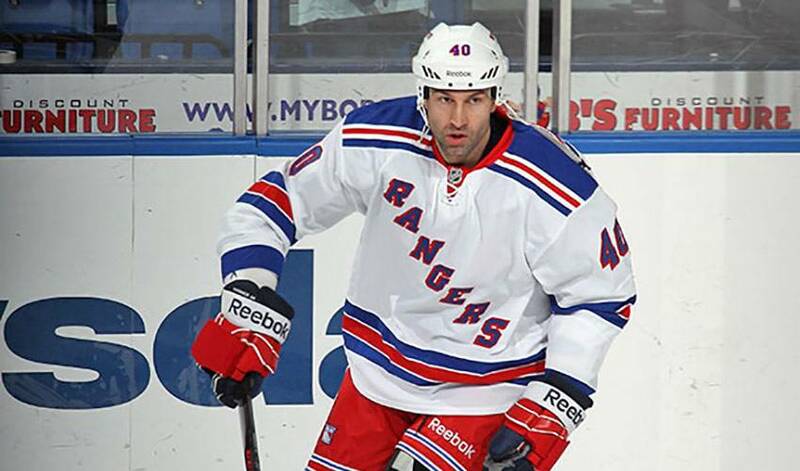 He played for seven teams in his NHL career: Tampa Bay, Edmonton, New York Islanders, Calgary, Montreal, Washington and the New York Rangers. A skilled defenseman at both ends of the ice, Hamrlik scored 155 goals and added 483 assists for 638 points while averaging 23:32 in ice time over the course of his NHL career. He played in three NHL All-Star Games (1996, 1999, 2003), and skated in 113 career NHL playoff games over the 15 postseasons that his teams were a part of. The native of Zlin, Czech Republic retires as the 33rd longest tenured player on the NHL’s all-time games played list. “After much thought and consideration I have decided to end my hockey career as of today. As a kid growing up in communist Czechoslovakia, I never imagined that I would one day have the opportunity to play in the National Hockey League. It has been a great honor, and a privilege, to spend 20 seasons playing in the greatest hockey league in the world. I will always cherish the wonderful memories I have of my time spent in North America while playing the game I love, making sacrifices and pursuing my hockey dreams. Over the course of my career I have had the opportunity to meet many wonderful people who have helped me along the way, and without whom I would not have been able to enjoy playing. For these relationships and everyone’s support, I am very grateful. First and foremost, I would like to thank my parents who raised me and made me the man I am today. For all of their continuous support during my life and throughout my career, I am extremely grateful to them. I also cannot forget to mention my older brother Martin, the person who opened the door to my NHL dream. Martin was a big reason why I was selected first overall in the 1992 NHL Entry Draft in Montreal and I am forever indebted to him for that. He has always been a role model to me and I am very proud of what he accomplished during his decorated career, a career which also recently concluded. Furthermore, I want to thank my girlfriend Cynthia for all of the support she has given me during the last few years of my career. I certainly cannot forget all my friends, relatives and fans, three groups of people without whom we, professional athletes, could not enjoy the life and fame that we do. To each and every one of them, I say thank you for your support. I would also like to recognize my hometown of Zlin, Czech Republic and its excellent hockey program. This is where my hockey dreams were born and where my skills were first honed. I would like to thank all of my coaches and teammates with whom I played with there as a young man. Each of you helped me to continue to develop and ultimately represent Zlin and the Czech Republic, both in the NHL, and also on the international hockey stage. With that in mind, I cannot forget the 1998 Czech Republic Olympic hockey team, under the guidance and leadership of coach Ivan Hlinka. I am so proud to have been a part of such a memorable tournament and the incredible victory of the Czech Republic, in the tournament of the century, is something I will cherish always. Because I had the opportunity to play on numerous NHL teams, under many general managers and coaches, I want to express my gratitude to all of them. Especially, I would like to thank my first general manager in Tampa Bay, Phil Esposito, who selected me as the first player in Tampa Bay Lightning history, first overall in the 1992 Draft. It was Phil who gave me a chance to play in the NHL, and I value and appreciate him as a GM and a friend to this day. Lastly, I also want to thank all of my teammates, agents, trainers, team staff and personnel, doctors and all of the others with whom I had the opportunity to meet and work with during my career. It was a great honor to play in the same league with legends such as Wayne Gretzky, Mario Lemieux, Ray Bourque, Joe Sakic, Steve Yzerman, Brett Hull, Paul Coffey, Patrick Roy and Dominik Hasek, as well as today's stars like Sidney Crosby, Vincent Lecavalier, Jarome Iginla, Jaromir Jagr and many more. I am grateful for all the support given to me during my hockey career. I will always appreciate the opportunity to play in the greatest league of the world.